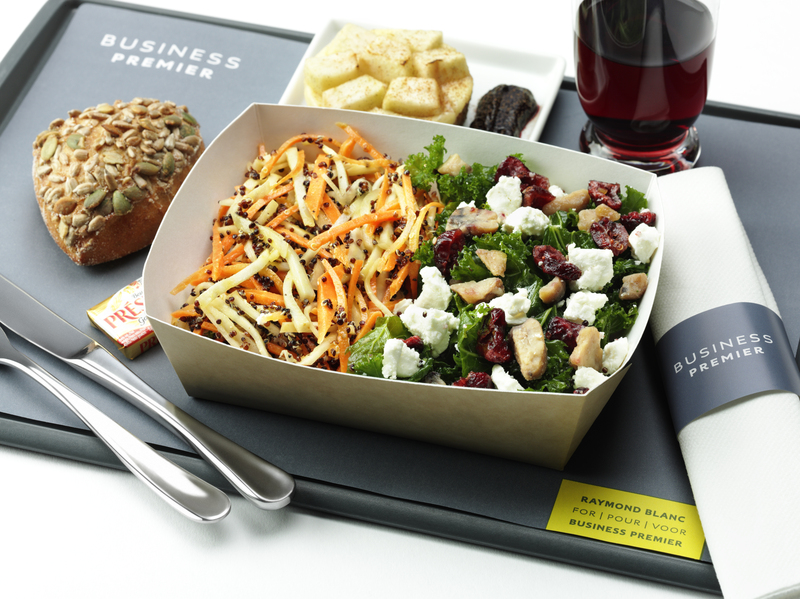 Eurostar, the high-speed rail service linking the UK and mainland Europe, is dishing up a new range of healthy salads for Business Premier passengers to enjoy, as they travel across the Channel. Designed by Michelin star chef and Eurostar Business Premier Culinary Director, Raymond Blanc OBE, the eight vegetarian salads are a welcome addition to the menu for those desiring a lighter option, whilst they relax or work on board. To suit a range of nutritional requirements, four of the salads are gluten free, two are dairy free and one is vegan, each with a delicious, fresh flavour. As with all the food served in Business Premier, the new salads are made with sustainable ingredients of local provenance. The introduction of the new range of salads marks four and a half years since Eurostar and Raymond Blanc joined forces to transform the on board dining experience for Business Premier passengers. Renowned for his passion and innovative culinary expertise, Raymond works with each of Eurostar’s three kitchens to design seasonal menus combining the best of British and French cuisine. Eurostar’s Business Premier aims to offer the highest standards in cross-channel train travel and a superior experience for passengers. With fully flexible fares, Business Premier customers can enjoy a 10 minute express check-in, exclusive access to the business lounges, plus complementary drinks and fine dining all served in the comfort of their own seat.